Amongst the grey, wintery days, I got delivered a new phone case which is always a good thing. 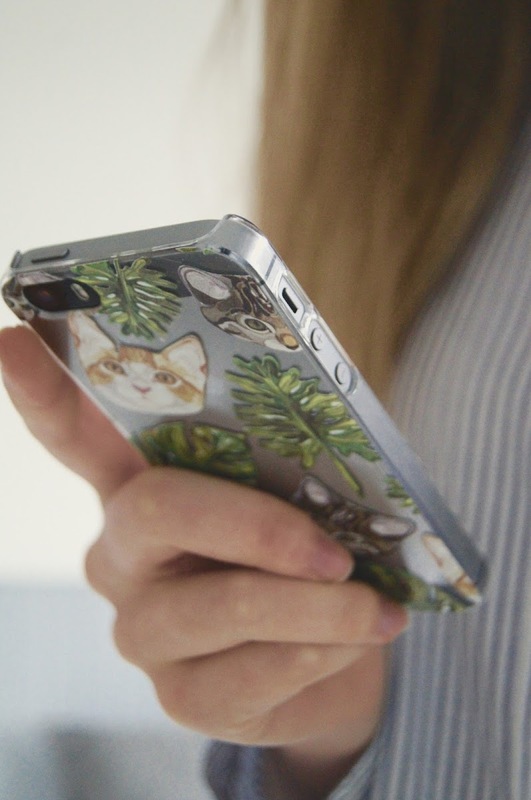 I was kindly contacted by GoCustomized to try out their personalised phones cases. I currently use an iPhone 5S and I've always wanted a transparent/patterned phone case - I was delighted when I discovered that GoCustomized made this possible. The freedom to pick your own designs and type of case is great. You can choose from lots of phone/iPad models to the type of case you would like (soft or hard case, black, white or transparent). When choosing a design you can use one of the given pictures or easily upload one of your own. The designs that are provided are also super funky, it took me a while to decided whether to use one of those or my own. The pattern I used is by my favourite artist, Laura Manfre. 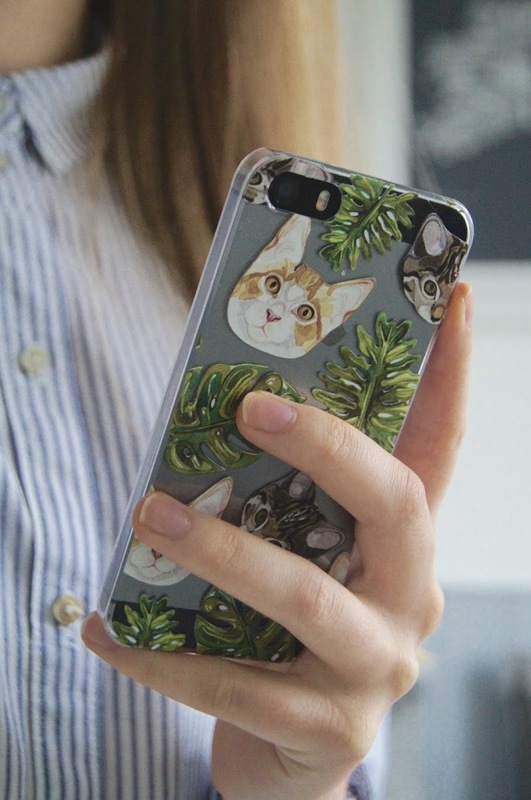 This website is the neatest and easiest way to personalise your phone case in terms of design that I've seen. It's easy to zoom and position the picture, then you can add any text or icons. I got the transparent background by selecting the transparent phone casing and uploading a transparent picture. My case is worth £14.95, which is a great price for a personalised phone case. Similarly, the free delivery is a huge bonus. Factors like this make this site so much more attractive than some others. There's nothing to really criticise about this product. I've had it for a few weeks and it seems perfectly hard wearing and seems to protect my phone very well. Overall, the ordering process was easy and the delivery was fast. However, in the mail, the case itself didn't seem too protected. I would've liked to have seen some sort of packaging that would've protected my case from being broken in the post. I would definitely recommend this site for anyone looking for a personalised phone case. Thank you to GoCustomized for this opportunity. I am using a transparent background by using the cases and covers. However we are the using the cases and covers which are protecting our mobile phones.